Cantigny Park’s annual LEGO® Train Show, a favorite holiday tradition for families, returns on Saturday, December 8, and Sunday, December 9, 2018. Show hours are 9:00 am to 8:00 pm on Saturday, and 9:00 am to 4:00 pm on Sunday. Admission to the LEGO Train Show is complimentary with paid parking of $5 per vehicle. Cantigny will waive the parking fee for anyone bringing a new and unwrapped toy for the U.S. Marine Corp Reserve’s Toys for Tots drop boxes inside the Visitors Center. 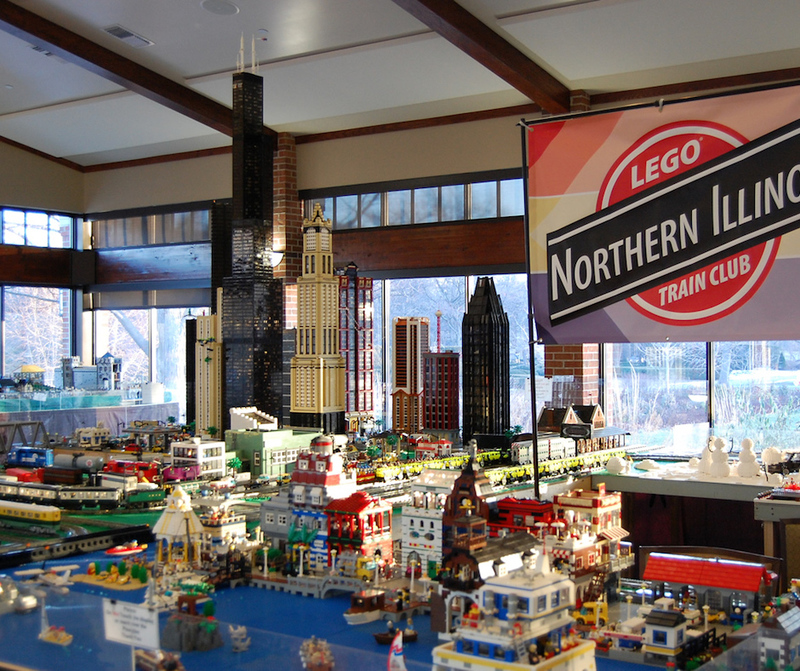 This is the 16th show produced for Cantigny by the Northern Illinois LEGO Train Club. The event—not held in 2017 due to construction at the park—requires a full day of set up, a process that transforms the Cantigny Visitors Center into a wonderland for LEGO fans of all ages. In total, the dioramic displays with running trains contain more than 3.5 million LEGO pieces! The show includes a marketplace with LEGO kits and accessories for sale. Cantigny’s two museums are part of the excitement, too. The First Division Museum will display a 25-foot model of the USS Missouri built with more than 500,000 LEGO pieces and with 400 LEGO soldiers on deck. McCormick House’s Freedom Hall will be a temporary LEGO art gallery with a dozen mosaics on exhibit. Downstairs, in the Gold Theater, children can test their LEGO engineering skills during the monthly Second Saturday family program, from noon to 3pm on December 8. Cantigny Park is open daily in December from 9 am to sunset. The park will close December 24, 25 and 31. More information, including directions and details about upcoming holiday events is online at Cantigny.org. Want more LEGO in your life? We have a comprehensive review of LEGOLAND Chicago with photos, video, and other places to go while you are there. Looking for holiday fun? Check out our Holiday Fun Guide! Be the first to comment on "LEGO Train Show: A Wonderland for LEGO fans"